My mom passed away on June 12 at 11:50 PM. I was at her bedside when she passed. That’s a moment I’m not ready to write about, but the experience of writing the eulogy for her funeral was a significant moment of reflection for me. The italicized portions are excerpts from the final draft of the eulogy. Formally, I wrote this on June 20, two days before the funeral, but in truth it had been rumbling around in my head for months, and I was struggling. 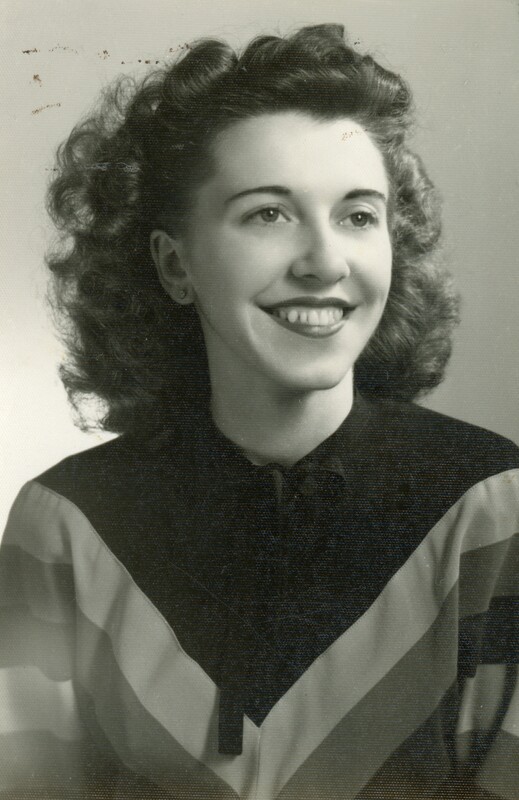 Truly warm, positive memories of my mother simply were not imprinted in my brain. She wasn’t a bad mom, just an intense woman who thought keeping everything clean all the time was her most important mission in life. When my sister and I sat down to talk about this eulogy both of us felt some discomfort over not being able to recall many warm anecdotes about mom from our childhoods. Oh, there was the time when she was playing with us all in the back yard pool, and ran to answer the door at the front of our house clad only in her bathing suit where she was greeted by one of our parish priests who was out visiting parishioners. That may have been the moment when her hair began turning gray. But I think my mom struggled a bit with motherhood, exhibiting a certain rigidity and devotion to cleanliness that we messy children could never quite achieve. I attribute at least some of that to her having been raised by a strict and demanding father. As a grandmother, she lavished care and love on her five grandchildren. When the kids didn’t want to go to school, they would pretend to be sick just so my mom or dad would pick them up, watch The Price is Right with them, and spoil them rotten for the whole day. Mom rarely missed a softball game or soccer match and all of the kids got chances to accompany mom and dad on camping trips. In going through old photos I discovered the picture of my mom as a radiant 25 year-old woman, just graduated from nursing school that you may have noticed in the lobby of the church. My mother loved nursing and attending to the needs of other. For over 25 years, she did so in hospitals and in doctor’s offices. To me, that picture embodies the spirit of love that she shared not only with her patients, but also with her friends, and within the church community. In her last three years at her boar- and-care home, the attendants, the other residents, the extraordinary ministers from Santa Sophia that brought her communion every Sunday, all spoke to me about how much they loved spending time with my mom. This was true even from the beginning when she was prone to break into her own peculiar renditions of “Amazing Grace” or the “National Anthem” her own personal favorites. There was a love and light inside of her that everyone responded to, even as her body and her mind began to fail. Dad, if you can hear me up there, I’m giving you a heads up. You’ve had a seven-year vacation, but mom is on her way to re-join you. So you’d better get someone to run the vacuum around and wipe down the kitchen counters—twice. Oh, and have them put an extra chair out on your back porch where I’m sure you’ve been watching the sunsets by yourself for all these years. Your angel is coming home. Thank you for sharing this….it truly is a lovely piece of your heart and soul. Thanks, Barb. I really appreciate it. Such a lovely tribute, with great vulnerability and honesty. My condolences to you and your family. Thanks, Kellie. Today feels like the first day of getting back to normality, except with this big void. I look forward to catching up with your articles. I’ve been sort of caught in a whirlpool for the past two weeks. I’ve often wondered how I will cross that bridge, I guess I just pretend it’s further away when I know otherwise. I don’t often post a non sarcastic remark, but I need to make an exception here… your tribute was beautiful. Thanks so much, P. I’m not sure it’s anything anyone can really prepare for. I got a lot of feedback on how “honest” my piece was but I think that was only because I acknowledged that my mom was lacking in some parenting skills. She knew it. She once told my sister when my sister was patiently admonishing one of my nieces that she was never that patient with us. When my sister told me that story, it made me realize that my mom was much more self-aware than I had thought. Good luck, my friend. Thanks for the kind words.